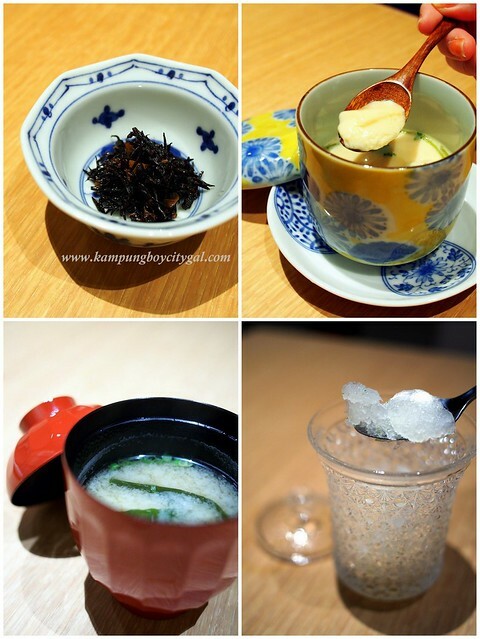 Five top notch Japanese restaurants that offer a taste of Washoku (Japanese cuisine) from sushi, yakiniku, tonkatsu and chicken hotpot are being housed under one roof at 4F, The Table, Isetan The Japan Store KL. 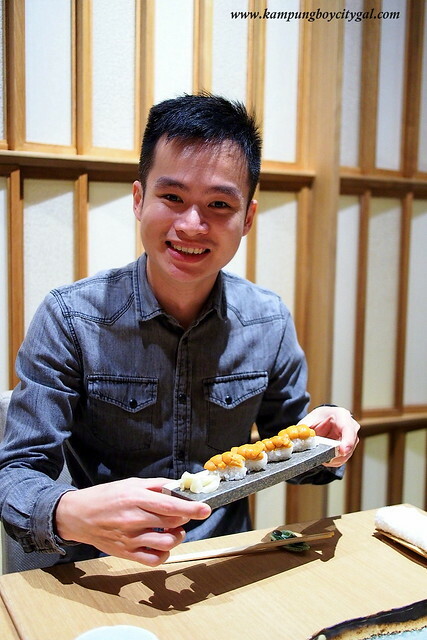 What excites us the most is the KL outpost of one Michelin starred Sushi Azabu from New York that is being headed by Chef Toshihide Terado (the one on the left), and so we made a quick reservation and dropped by for dinner last weekend. 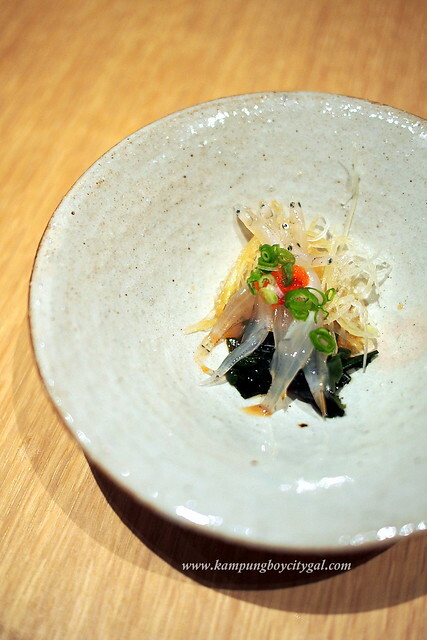 Most of us opted for the RM 220 set and it comes with this – a delicious combination of shirasu (white bait) with spicy roes, spring onion, seaweed, radish topped with a refreshing and tangy dressing. 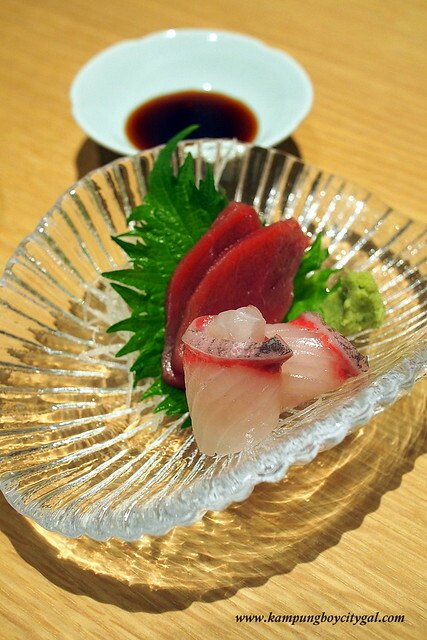 For sashimi, two types of fish were being served – hamachi (yellow tail) and maguro (tuna). Both were fresh and sweet to the bite. 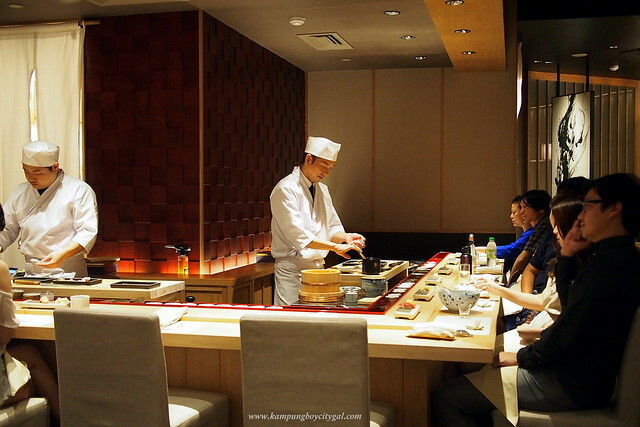 This 40-seater restaurant serves traditional Edo-mae (Tokyo-style) sushi. 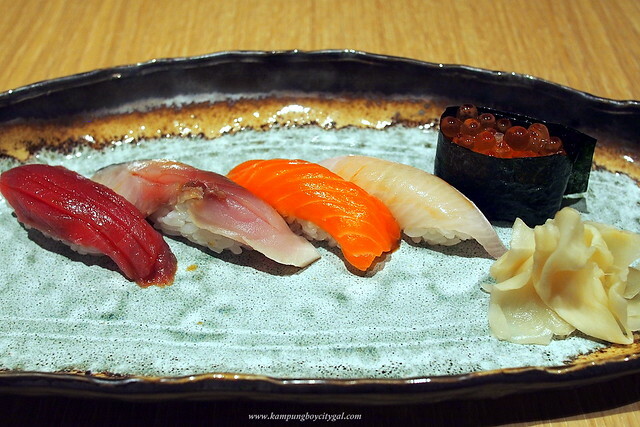 It is a very simple and traditional way of preparing sushi. Just before the chef present it to the customer, he or she will daub on a single coating of nikiri with a brush. 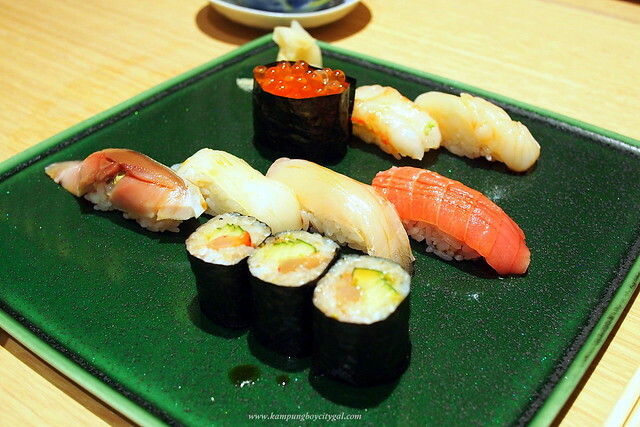 Wasabi is usually being placed under the fish, so you do not need any form of extra dipping sauces/wasabi. 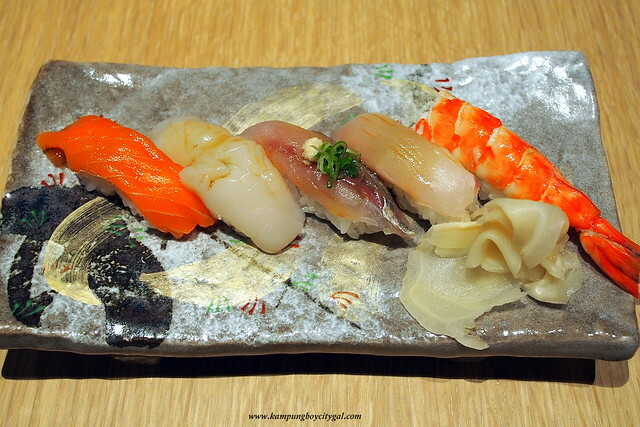 Our platter of nigiri sushi consists of Chutoro (tuna), Shimaaji (Trevally), Ika (Squid), Saba (Mackerel), Hotate (Scallop), Ebi (Prawn) and Ikura (Fish Roe). 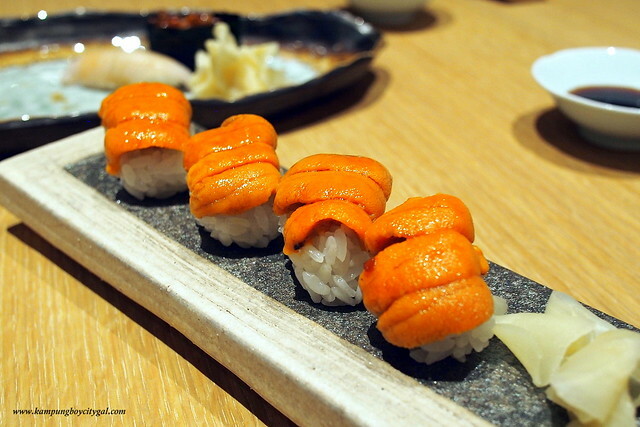 We particularly enjoyed the Hotate, Shimaaji and Ebi, but surprisingly the chutoro was just OK.
Uni (sea urchin) sushi (RM 50 per piece) is also a must have here! It might or might be in your course meal, depending on availability and chef’s preferences. 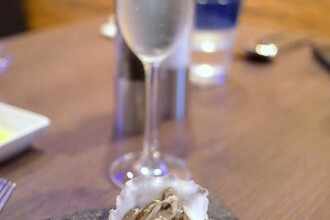 It was so sweet, so creamy with a touch of ocean brine. I’m still dreaming about it! Kampungboy ordered the RM120 set because he wasn’t feeling too well. 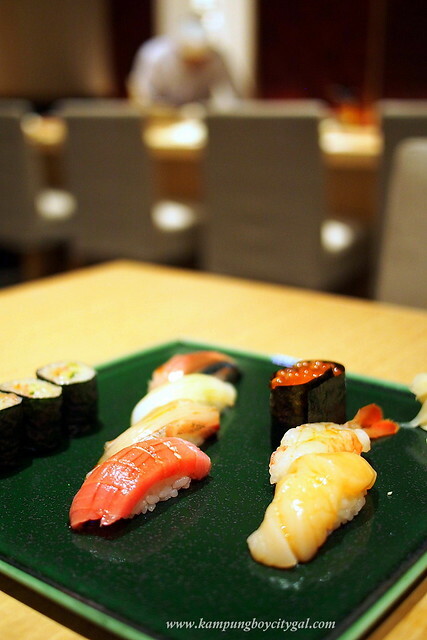 The set is worth the money, with 10 pieces of good quality nigiri sushi. 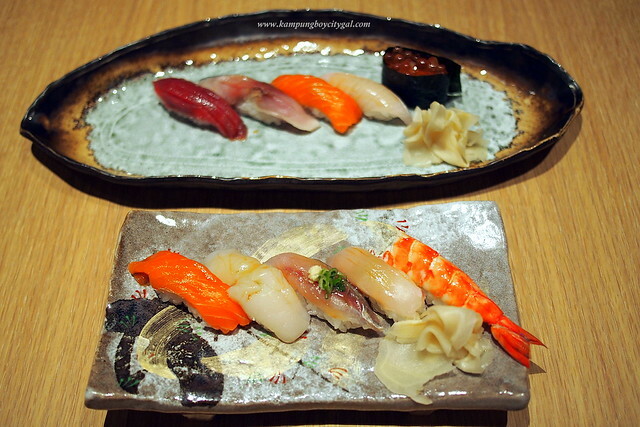 His favourites were the salmon, hotato and ebi. The salmon was bursting with natural sweetness, very different from what we have normally. February is the month of love – a time for Valentine’s Day and remembering love – emphasizing the importance of love in our lives….